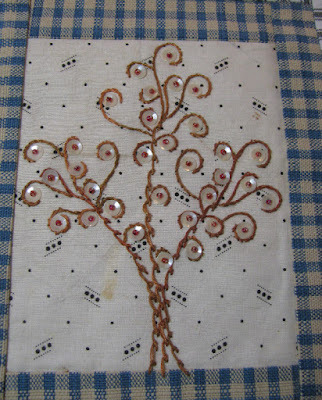 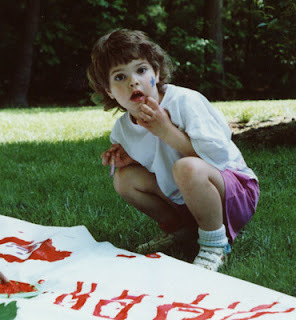 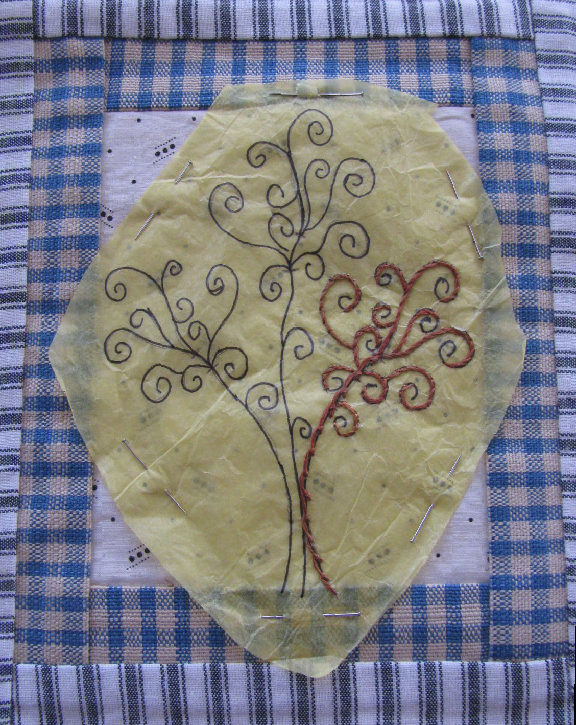 Awhile back, I got very interested in stitching trees for my crazy quilt and other quilt blocks. 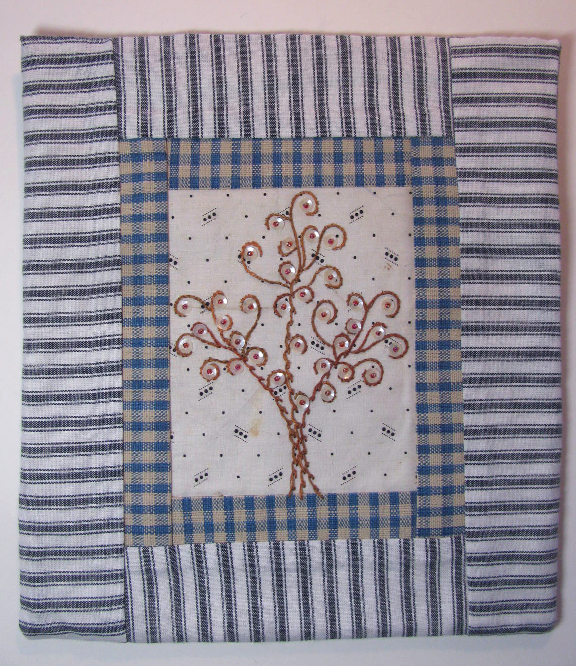 Kathy Shaw's surface design class made several patterns for trees available for our use, and I chose one of them for this small quilt. 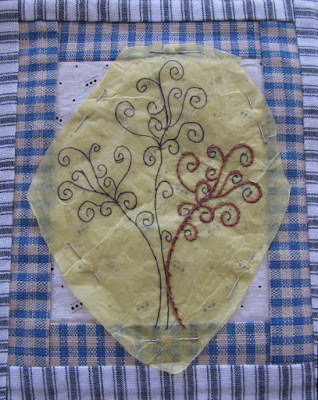 I stitched the tree onto a block that has been sitting around my studio for literally years. 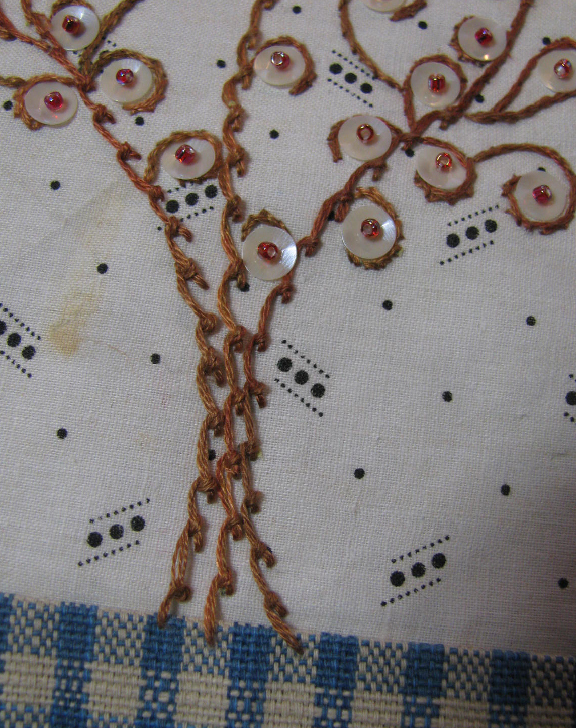 The fabrics are antiques, which is why the central piece is stained. 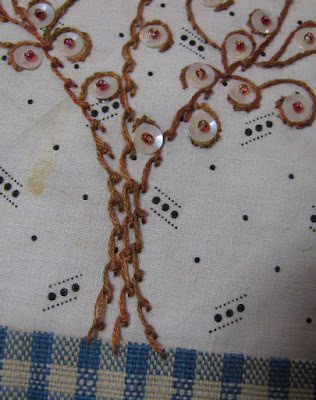 It doesn't bother me at all...in fact, I love that it was well loved and used. 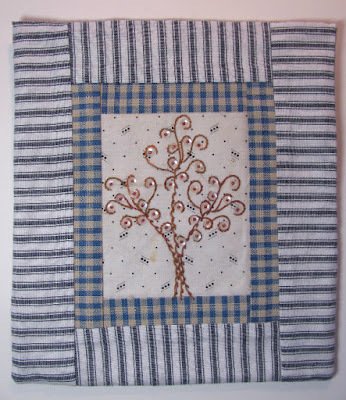 I used scroll stitch for the trunk and major branches and stem stitch for the smaller branches. The "leaves" are antique French sequins and size 11/0 red seed beads.